"Very happy with Dr Banks and her nurse, Patty." "Dr. Schaefer is knowledgeable and straightforward." "Dr. Kapturczak is a caring and kind person with your health as his primary concern." "Dr. Luna is personable, prompt with her appointments and efficient with diagnosis." "Dr. Kapturczak is knowledgeable, compassionate, trustworthy and personable." "Very professional and caring doctor. I feel blessed to have been his patient." "An excellent doctor who cares." "Dr. Davis is a very warm, friendly and caring physician." "Dr. Penagaluru is one of the kindest doctors I have ever met." "Dr. Diaz Rodriguez is an amazing physician! Very knowledgeable, talented and caring." 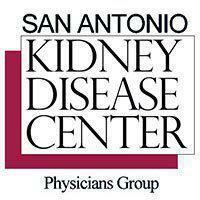 For a full spectrum of kidney disease and hypertension services from the top doctors in nephrology, look no further than San Antonio Kidney Disease Center Physicians Group. Serving the community since 1978, the group has several locations throughout San Antonio and the surrounding areas. With an unparalleled commitment to patient care, the award-winning team at San Antonio Kidney Disease Center offers a wide array of services. From cutting-edge hospital treatments and kidney transplant procedures to outpatient dialysis, the team members at San Antonio Kidney Disease Center are experts in their field. Focused on empowering their patients with knowledge, San Antonio Kidney Disease Center hires full-time educators to teach classes on kidney health. The medical professionals strive to provide the most advanced treatment for every patient by constantly working on groundbreaking kidney disease research. Excellent medical care should be accessible to everyone. The team at San Antonio Kidney Disease Center believes excellent medical care should be accessible to everyone. That’s why the group offers several convenient locations throughout San Antonio and travel to over 40 dialysis units across the region. For specific locations, or to learn more about how San Antonio Kidney Disease Center can help you, call the office today. SAKDC participates in a variety of major health plans including Medicare and Medicaid. (210) 481-7453 to confirm we participate in your health plan. 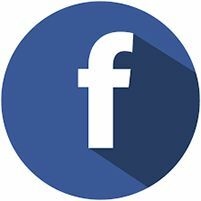 "Dr. Schaefer has always taken the time to consider the best course of therapy and to explain in readily understandable detail the science and medicine involved." "A caring doctor like Dr. K makes it friendly and pleasing. Thanks for your effective analysis and diagnosis." "Dr. McMurtrie is one of the best doctors in San Antonio. I have been her patient for 16 years. She is knowledgeable, through, and compassionate." "Dr. Tabatabai goes above and beyond for you. He always has time to answer your questions and never makes you feel uncomfortable. You feel like he really cares." "Dr. Rodolfo Garza is top-notch! He is very thorough, explains things well, and listens very well." "Knowledgable, sincere, good doctor/patient interaction, friendly, helpful staff. We are extremely thankful for Dr. Garza"
"Dr Glanton was thorough and explained everything well. Additionally he seemed to genuinely care about my well being and his staff was professional"
"I have been a patient of Dr. Alvarado for going on three years now. He is outstanding in many respects. His skill, knowledge, and abilities are second to none." "Dr Rebollar is very compassionate and understanding of me as a patient and takes the time to sit and listen to what I have to say." "Dr. McDowell is thorough and very knowledgable. I had no questions when I left and many before my appointment."